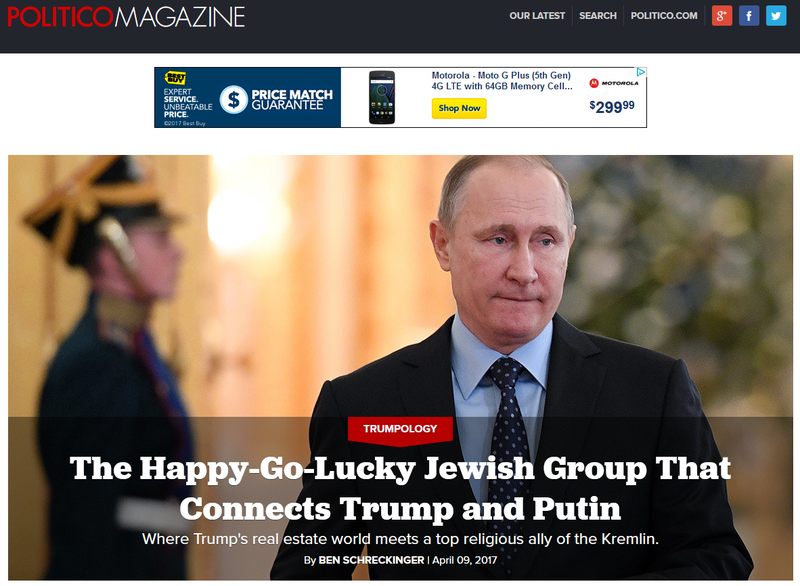 It was as if someone in the hierarchy had decided that “we can’t hide it any longer, so we’d best turn it to our advantage.” Of course, their outing of Kushner and Chabad will not change the fundamental plan, since I seriously doubt the MSM will go into the “prophecy fulfillment operations” part of it; they’ll likely stick to the business relationships. Read Trump and Putin: Agents of Chabad-Lubavitch for the full story. So if the MSM present Trump’s son-in-law as his link with the “evil Putin,” how can Trump sever that link? He cannot; even if he fires Jared as his senior advisor, he’d still be connected to him through family ties. So this would provide a good basis for Trump’s removal or resignation at some point. And as soon as Pence succeeds him, the globalists’ “Gog/Magog War” card will be back in their playing hand again. On the other hand, though, if the “Dump Trump” crowd let the special counsel complete his investigation before they make a move, Trump could survive. Such an investigation could take several months, and Erdogan’s Holy War and Putin & Trump’s Big Surprise could be triggered before it’s done. Again, we’ll have to watch what Erdogan does at his summit with the EU next week. (P.S. – 21 May 2017) – The MSM are now reporting that the “person of interest” is indeed Kushner. This entry was posted in Globalist Agenda Watch 2017 on May 19, 2017 by kenneth.